Calculating possibilities and picking the right match winner are just the first steps of online betting. Before you actually wager your money, you must take your time and compare odds given by different sports bookmakers. Why? Where to bet on tennis? This article will tell you the benefits of comparing odds to answers that questions. The main benefit you can enjoy from comparing odds is of course better return on your wager. A slight difference in odds can result in substantial difference in profit, especially when you wager a lot of money. For example, placing 100GBP bet at 4/1 odds will give you 100GBP more profit compared to when you place the bet at 3/1 odds. By comparing odds, you can find the best – most profitable – odds given by sports bet websites and wager at that particular odds right away. Another benefit you will get when you compare odds every time you want to place a tennis bet is better view of the market. You can see which player is favored more by different bookmakers; some bookmakers even publish placed bets, which mean you can also see the favored team among other sports punters. You will have no trouble at all getting better insights on the market and making your bets accordingly. Last but certainly not least, comparing odds will also make it easier for you to understand the quality of different sports bookmakers. Most sports bookmakers promise the best odds, but only a few of them actually keep that promise. By comparing odds, you can determine if you are really getting the best odds all the time from the sports bookmaker you are using. So, over the years for various websites—including this one—I've written a post after the first week of the season called "What the First Week Has Shown Us." I like to think you can gauge a lot on how the approaching tennis season will go based on what goes down in Brisbane and the like. I'm a little behind on doing that, but figured I'd try to get something in before we get too deep in the year and my predictions/thoughts become meaningless! So here's what I think you can be on the lookout for during the rest of 2016. • The Novak Show Will Go On: Yeah, this might seem like a no-brainer, I know. Djokovic started off the year perfectly, and he handled the two guys behind him in the rankings—Andy Murray and Roger Federer—pretty easily in Australia. Personally, I keep thinking someone's going to solve the Djokovic riddle someday, but it doesn't look like it will happen on a consistent basis. I don't know if he'll win the French, but I'd be very surprised if someone beats him at Wimbledon or the U.S. Open. • The Serena Show, I Guess, Should Go On: Serena had a year for the ages last year: completing another "Serena Slam" and coming oh-so-close to the Grand Slam. However, there were a lot of close calls during the course of her run, but because she's such a fighter and elite champion, she was able to pull through and lift the big hardware at the end. It didn't happen in New York, though, and what I find pretty surprising, didn't happen in Australia. Williams should still end the year on top—I assume it would take Aussie champ Angelique Kerber winning the Grand Slam herself to dethrone her—but I can't see her winning multiple Slams. Then again, Serena's the boss at proving folks wrong! • You Can't Count Rafa Out—But Should You? : The year started off well enough with a runner-up finish his first time out, but that loss to Fernando Verdasco at the Aussie has to be disturbing for Nadal. He should still pick up a few minor titles over the year, and as far as I'm concerned, he'll always be the favorite at Roland Garros, but as far as proving to be a consistent threat to Djoko's reign, I just can't see it. • The Andy Murray Hurdle: I think that little subhead can be looked at two ways for 2016. One, instead of dethroning Djokovic, it looks like guys are going to have to work to get past Murray first. 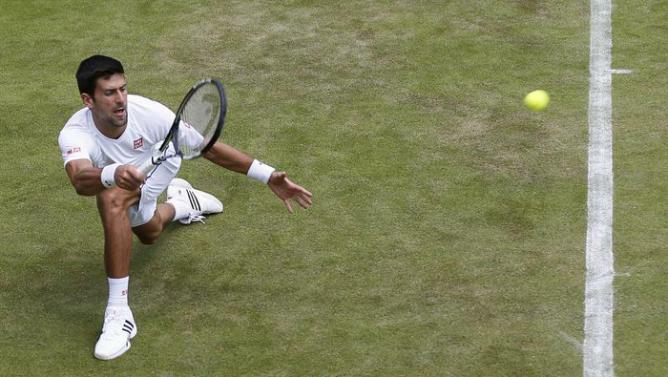 And two, Murray faces a big hurdle between him and any more Majors, namely Djokovic. It just seems to be getting worse in his head-to-heads with Djoko, but he is playing at a high-enough level to hold on to the 2 spot. • Roberto Bautista Agut will be the year's surprise top-10 debutant on the men's side. 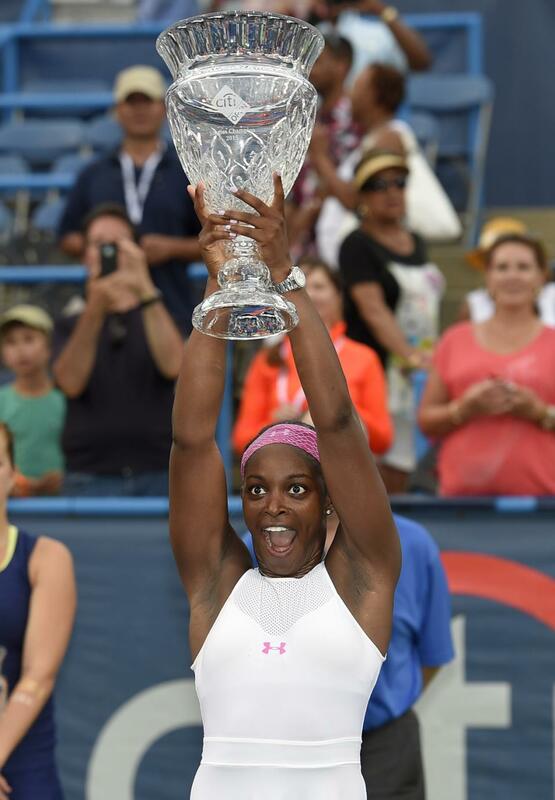 • Despite her early Australian Open exit, Sloane Stephens can exceed her career-high ranking. • Injury might be the only thing that slows down the Martina Hingis/Sania Mirza team: Grand Slam, anyone? • Speaking of doubles, Bob and Mike Bryan will be OK and are more than capable of grinding their way back to the top. But—and not to put any thoughts in their heads—how cool would it be if they won Olympic Gold or the U.S. Open and then walked away on top? • These American kids like Frances Tiafoe, Tommy Paul, etc., are something else and will rise even further up the rankings. • Maria Sharapova has a Slam or Gold Medal in her. But someone's going to have to knock Serena out of the draw for her to win either. At any rate, the year ahead promises to be a good one! So, this might be one of the oddest return-to-blogging posts in history, but as I sit in an airport alone on Christmas, I figured why not take the time to jot some thoughts down. Be forewarned, this post will be a downer, but hopefully, not a total one. The reason I'm in an airport alone is because my mom died on Christmas morning. If that's not a tough thing to deal with, I don't know what is. She was visiting my sister in Mobile, Ala., and had just gotten into town Christmas Eve. My mom drove over from Georgia, where she'd been living for years on her own. The past few years had not been kind to her at all, health-wise. Actually, you know that phrase, "understatement of the year"? Multiply that by 50, and that should be a more accurate summation of that "health-wise" sentence. I guess, if anything, it's good she got to spend some time with my sister and nephews. Anyway, as I'm waiting for my delayed flight (adding to the roughness of this trip), I figured I'd come here and share a couple stories about tennis, me and my mom. After all, this is a tennis blog! * I played my first tennis tournament when I was 15. We didn't really know if there was a dress code or anything, but my mom figured I should look the part. So I got a polo shirt and shorts from JC Penney, and the kit looked all right, but it was not functional. At all. This was in the '80s, the height of the "short shorts" era. These shorts were that and then some, and were made of the stiffest material ever. I couldn't move: heck, I could barely fit a ball in my pocket. Tightness--nerves- and shorts-wise--did me in, but in my mom's mind, at least I looked right. * A little bit later in my playing career, I was playing a first-round match I was a heavy favorite in. Like, it was supposed to be a cakewalk, but I ended up dropping the first set. I couldn't keep a ball in the court. I made eye contact with my mom and she mouthed, "change your racquet." You see, the week before, I had gotten a new model and I obviously hadn't gotten used to it. Luckily, I had one of my old sticks in my bag, I switched to it and breezed through the next two sets. I still consider that one of my biggest and most memorable wins. And I'm glad there was no one roaming the courts looking for coaching going on! Not just because I'm involved in it, but I've always felt tennis was the most difficult sport out there. You don't have teammates (unless it's doubles) and can't get coaching when you're out there. You're taught something and it's up to you to put your lessons to good use while competing. It's very important to at least have someone out there watching you. I was very fortunate to have that with my mom. Funny: I just played some doubles last Saturday night for fun, talked to her afterward and she asked me how I did. She always did that through the years. I love Davis Cup, specifically the U.S. Davis Cup team. And there was an announcement this week that has me more excited about the squad then I've been in a minute—and for a playoff tie, no less! 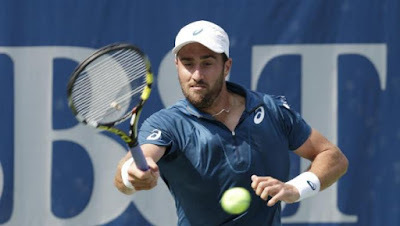 Amid the Serena Slam-chasing, the Federer-romping, the Djokovic-winning and Flavia-winning/retiring and other happenings going on at the U.S. Open, the lineup for the U.S. in its playoff against Uzbekistan was announced. Making up the team will be Steve Johnson, Donald Young, Jack Sock and Sam Querrey. Now why, you may ask, would this have me excited? Because I wholeheartedly feel that it's the best way to develop these young players. I wrote something along those lines for Tennis View Magazine a couple of years ago. It's kind of the sink-or-swim theory: Throw the youngsters into pressure-packed situations and see how they handle it. Just imagine the confidence Sock or Young could gain from winning a live fifth rubber against a hostile away crowd. Or conversely, being able to soak in the praise of pulling off a feat like that at home. Davis Cup Captain Jim Courier's counterpart, Fed Cup Captain Mary Joe Fernandez, has been going with the younger players for years—often because of the Williams' unavailability—and has had stellar results. I wrote something about that for Tennis View, too. (I guess I write a lot for TV!) A good draw with young talent and a bit of a veteran presence can do a lot of damage: i.e., Australia this year. Anyway, I think the guy that broke the mold on in recent years of going with young talent was Courier's predecessor Patrick McEnroe. One of my all-time favorite coaching moves in sport is when he told Bob and Mike Bryan they had to win a Slam first before he put them on the team, forsaking an all-singles players lineup. They did, and the rest is history. Now, not to say that John Isner and the Bryans should be kept off the team: All three have had amazing results over the years. But if there's a situation like this, let the neophytes play. And be sure to bring along Tommy Paul, Frances Tiafoe, Taylor May Fritz—any/all of those whipper-snappers—as practice partners. A youth movement can only be a good thing. I have to admit, I had some serious doubts about Sloane Stephens getting that first final/title anytime in the near future. The past year had its ups and downs as far as results go with losses aplenty and coaching changes. But any kinds of doubts were erased this week in Washington as the young American won her first career title (in her first career final). 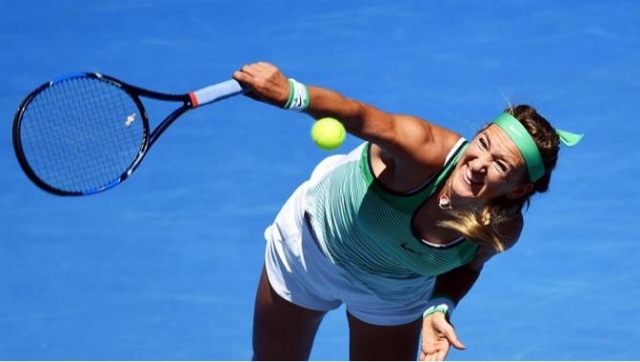 She beat Sam Stosur in the semis, then turned around and tagged Anastasia Pavlyuchenkova. In the last three sets played between those two matches, Stephens dropped only three games. That's some serious ballin' right there. Extremely well done by Sephens. Here's hoping she can keep it up and live up to her potential. 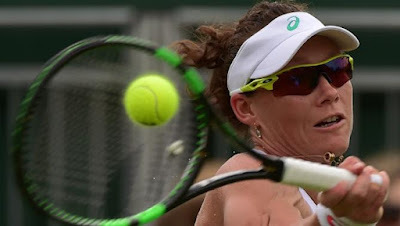 The summer of Sam Stosur? After Samantha Stosur won the WTA stop in Carlsbad, Calif., in 2013, she immediately went to the top of my favorites list for that year's U.S. Open. I even wrote about it for Bleacher Report and everything. But things weren't meant to be for the '11 Open champ. And that might actually be a bit of an understatement as she fell in the first round of the tournament to American Vicky Duval. Grand Slams have been a bit tricky for Stosur since her breakthrough. She managed a quarter and a semi in 2012, but nothing that deep since. You can almost mark her down for an early-round upset victim at any Major. Call me crazy, but I'm getting those old '13 feelings about her again. She's in the quarters in Washington, D.C., this week and is currently riding a seven-match winning streak, having won her second clay-court title of the year in Austria last week. She's playing solid tennis on her favorite surfaces and can hurt almost anyone with her serve and forehand. Of course, it's super-early in the hard-court swing and Stosur's only two matches into it. But let's say she wins Washington, which from her vantage point as the second seed, is very doable. A 10-match roll would be a perfect thing to build upon as she gets ready for New York. It's a long summer, but it could be a great one for Sam. There's nothing like a challenge to get the old blood flowing and the keys moving, I always say! Let me tell you about one I've just been issued. While figuring out some writing stuff, namely how to do more of it, my wife issued a challenge to me: Do at least four posts a week here up until the U.S. Open. Seeing as how it looks like I've fallen into doing four a year nowadays, I thought that would be kind of tough. But you know what? Who says life is all fun and games? I'm going to take the missus up on her challenge and go for it. It should be doable and there are benefits all around: I get to write, you get to read (hopefully). It's a win-win all around! So stick around here for more posts and the like. There is so much happening in the tennis world right now: TTA? aims to be along for the ride--four times a week! Would you believe me if I told you I knew Stan Wawrinka and Serena Williams were going to win the French Open a few weeks ago? Yeah, I wouldn't believe me either, especially without any proof in the form of a blog post to back it up. So I figured I'd better get my Wimbledon picks up for documentation! Check back to see how I made out! An old friend of mine and I used to talk tennis for hours, whether it was our own games or what was happening in the pros. I've started Tennis Talk, Anyone? to, well, talk tennis with an even broader crowd! My name is Van Sias and I've been playing for 20 years now, and not only am I player, I'm a huge fan of the game as well: pro, amateur, you name it. I'll post links to news items related to the sport, and offer my own personal opinion, predictions and hopefully get some of yours as well. Become a online betting fan! Tennis Talk, Anyone? is now Twittering! Follow along for some more tennis talk! US OPEN: THE ROGER FEDERER SHOW?